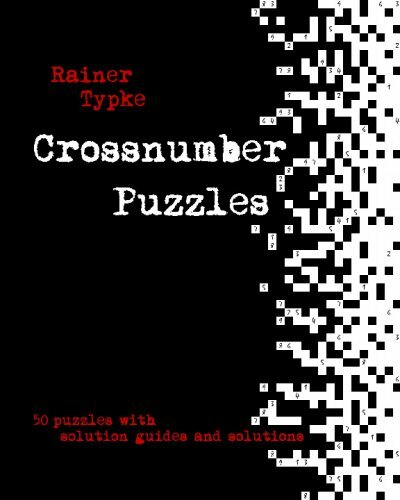 This book is bursting with 50 fun and addictive crossnumber puzzles! Crossnumbers are cousins of kakuro puzzles, but featuring even more brain-busting twists. Clues might be arithmetical, but also can be logic-based, algebraic, or refer to other properties of numbers, like "a square number", "a palindrome", "a cube", or "the square of a prime number". Some of the puzzles within are hybrids of crossnumber puzzles and sudoku, for even more varied solving pleasure. Features of this book include: * 50 exciting puzzles, sorted by difficulty. * A solution guide giving hints for each puzzle. * A full solution for each puzzle. * Handy solution guides such as charts of prime, square, and cube numbers. * Step-by-step instructions on creating your own puzzles.